The works between the frames in the classic British way. 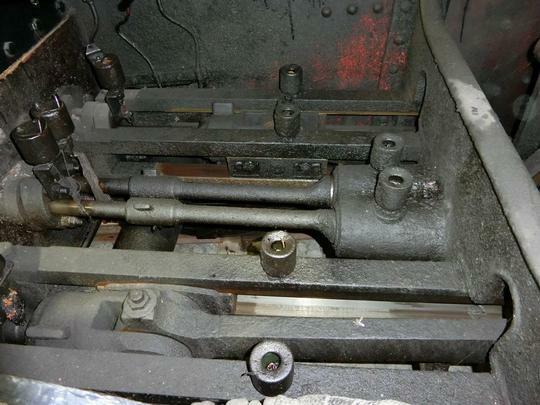 The slide bars and the left hand connecting rod visible with the valve spindles together in the centre. 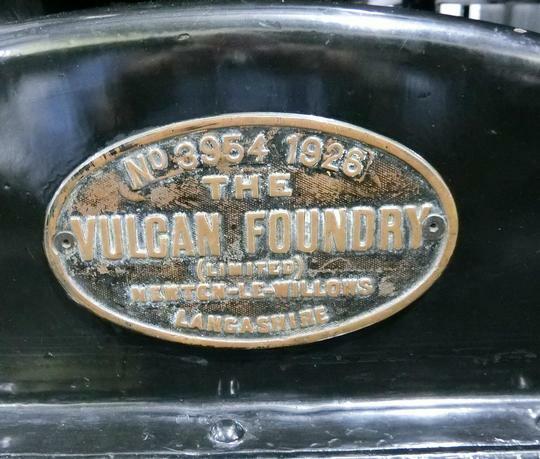 The works plate for Vulcan Foundry of Newton le Willows. 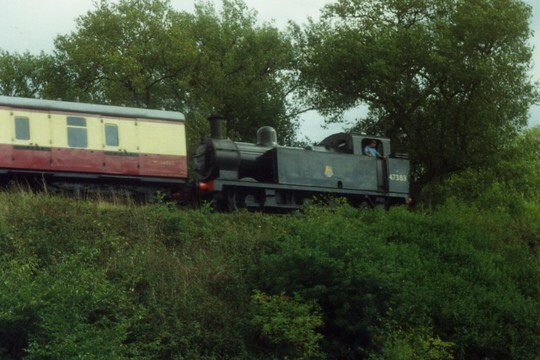 The works is now demolished, sadly. 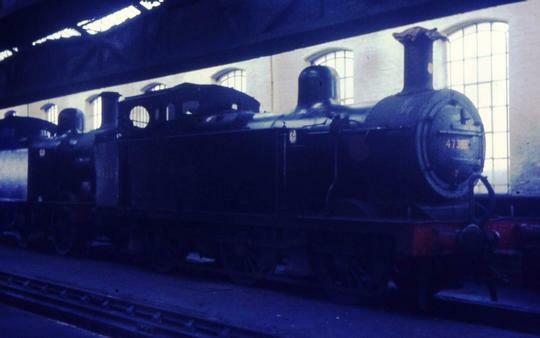 11th November 1967 found the loco in store at Westhouses depot. 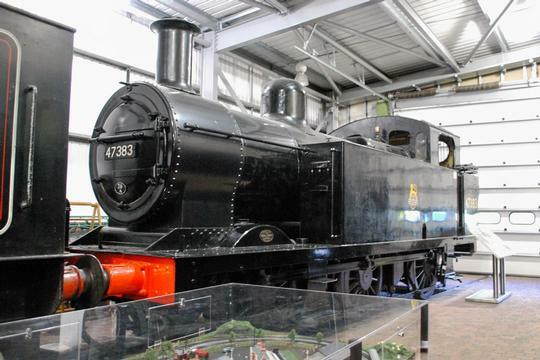 Notice the cover on the chimney. 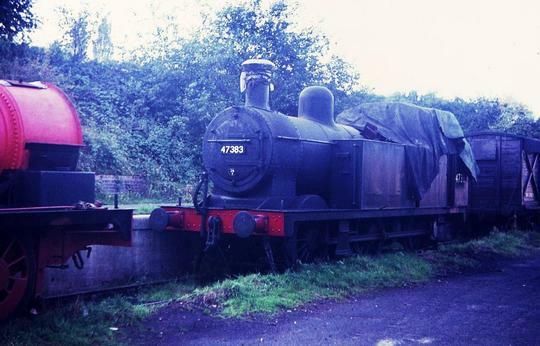 By 23rd September 1968 the loco was in Bridgnorth yard, still stored.